Hello my stamping friend! You’re just in time for another challenge with the Watercooler Wednesday team! At first I was stumped; I didn’t want to use the Santa’s Sleigh set again; I love it, but I’ve used it a LOT lately! Then my eyes caught some leftover Pear Pizzazz swirls I hadn’t used on a different project – and voila – an idea was born! I started with a card base of the Thick Whisper White cardstock. I then added a panel of Early Espresso cardstock; I left it plain, because I didn’t want the swirls to compete with any other texture. 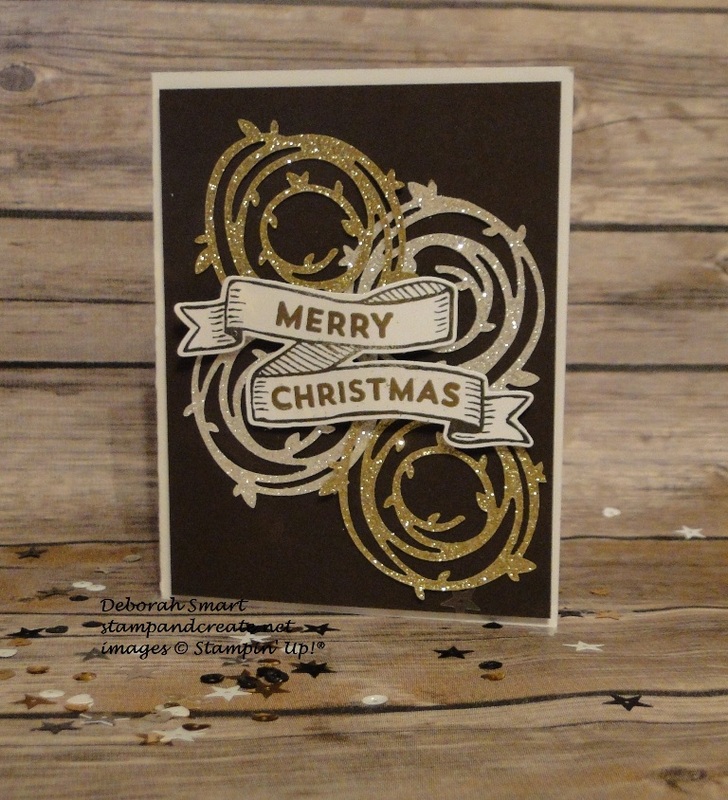 Using the Big Shot and the Swirly Scribbles Thinlits Dies, I die cut 4 of the medium sized swirls; 2 from Silver Glimmer Paper, and 2 from Gold Glimmer Paper. 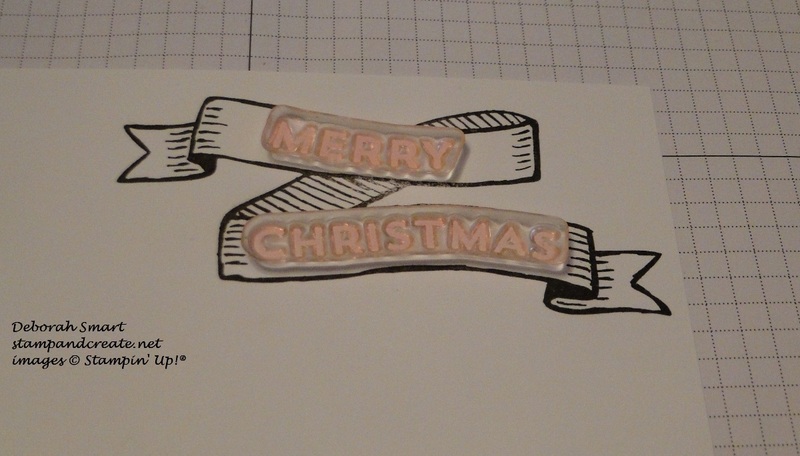 To attach them to the card front, I just dotted some of the Tombow Liquid Glue in places on the back of the swirls; I wasn’t concerned with having each piece stuck completely flat, as I wanted the swirls to have some extra dimension. Next I used the Banners for Christmas stamp set and stamped the double wavy banner in Early Espresso ink onto Whisper White cardstock. 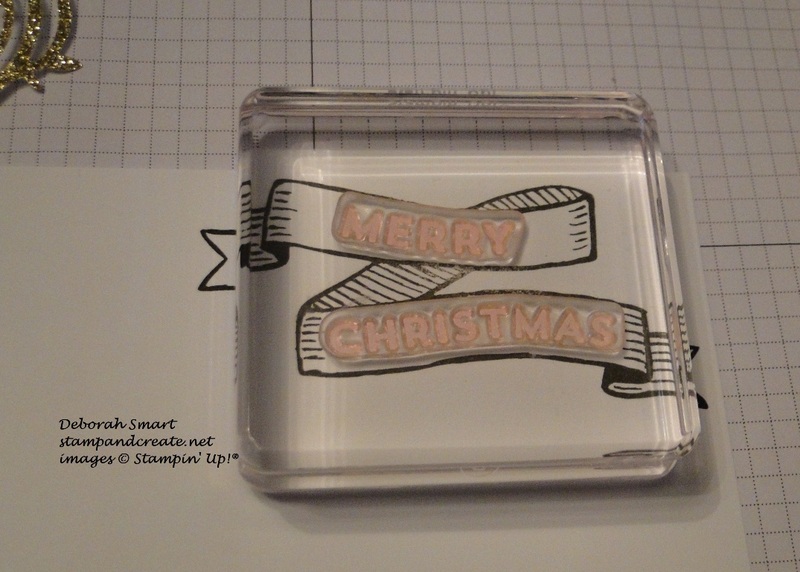 I then stamped the sentiment in Versamark ink, covered it with Gold Embossing Powder and heat set it using the Heat Tool. You can use both on this banner – it’s just personal choice whether you want your word more curved to the banner shape, or more straight. 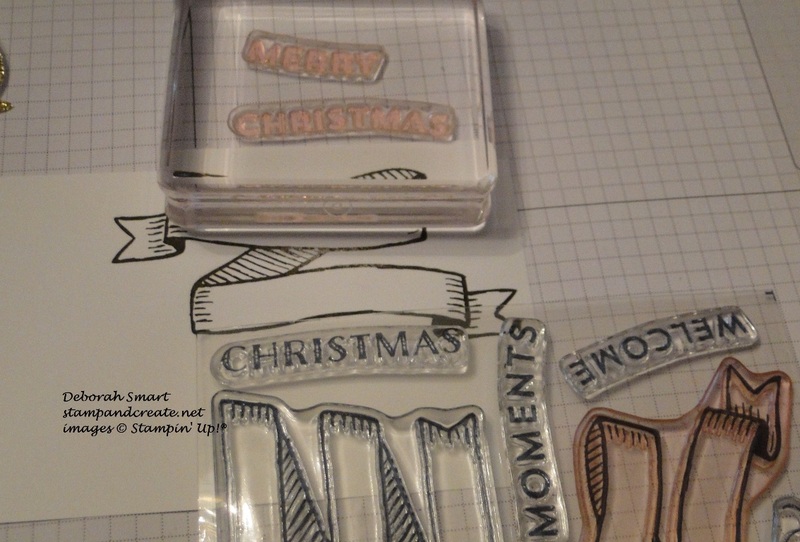 I used my Big Shot and the Bunch of Banners Framelits to die cut the banner – I just HAD to get this stamp set and these Framelits when the Framelits went on sale last month! There are so many other sets that coordinate with these Bunch of Banners Framelits, they’re a good investment. After die cutting the banner, I attached it to my card front using Stampin’ Dimensionals, and I was done! Let me know what you think of my card – I love reading your comments 🙂 Then, I hope you’ll have a look at the amazing cards the rest of the Watercooler Artists have created – just head over to the Watercooler Challenge blog, then be sure to link up your card for the challenge! 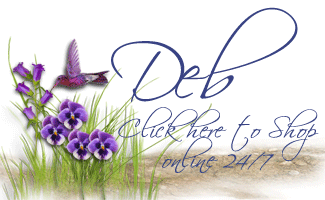 Deborah, what a wonderful card. I love all those metallic swirls, shimmering on black! !